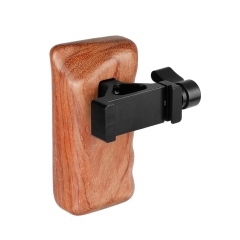 • Well made of wood and aluminum alloy, anodized in black, applicable for Blackmagic Pocket Cinema Camera 4K. 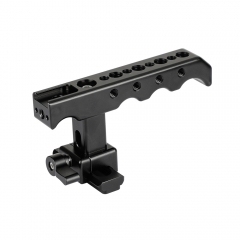 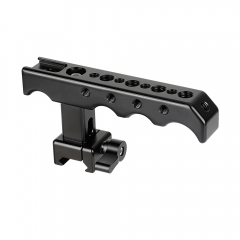 • On the handle, there is a shoe mount and plenty of 1/4"-20 mounting points, through which you can attach more accessories onto it, such as microphone, monitor, flash light, articulating arm and so on. 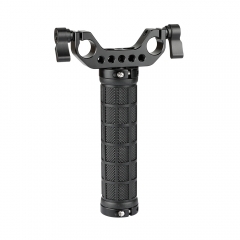 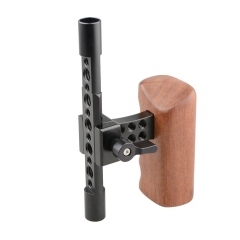 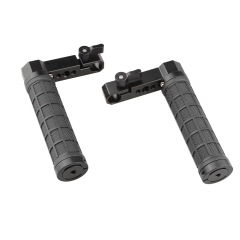 • This handle delivers great convenience and comfort while your hours of shooting, it’s very easy and handy to use. 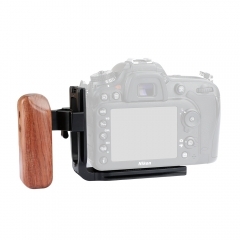 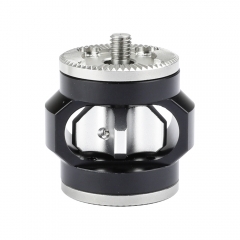 • It can be attached to the camera from either top or bottom via a 1/4"-20 threaded screw. 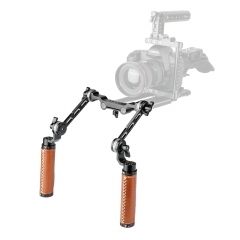 It will also work well with a RoninS / Zhiyun crane stablizer and a tripod.